No longer is a website simply considered the virtual ‘front door’ to a business. Now it’s the more than likely to be the whole house, given that so many businesses are digital-only. This evolution in website development has had two side effects. Firstly, pure play digital companies are reinventing, and in some cases disrupting, the role and functionality of websites. Uber and Instagram’s websites are secondary to their mobile apps which is where all customer interactions occur. The Netflix website need not be visited again after you sign up. In the future I expect that websites associated with the Internet of Things, such as internet connected fridges, will be change the game again. Secondly, traditional businesses are realising they need to transform their web presence to stay relevant to an increasingly web-savvy audience. Coca-Cola pioneered the shift to a content-led website. GE and IBM have followed similar strategies of reinventing their websites to focus on publishing engaging, story-driven content. And Simple is an example of how banking is being disrupted. Understanding how these factors are influencing website development is a fascinating debate. For my take on the issues, here are 5 principles for creating a website that is disruptive and/or transformational. The fundamental goal of a website is to motivate people to visit regularly (or when they need to), purchase items or services, or interact with the content. No matter what the goal, the common denominator is the customer or prospect staring at the screen thinking “what can I do here that’s of interest to me?”. So you need to find out everything possible about this mythical person. About his/her behaviour and attitudes. Analyse and understand the online and offline pathways to your website and how they relate to each other. Know what device your customers use to research and find you online – and why. Don’t ignore what you learn about people’s motivations to visit your website – and don’t forget the ease at which a customer can click a link and be taken away, perhaps never to return. Steve Jobs nailed it when he said, “You’ve got to start with the customer experience, and then work backwards to the technology.” In this video Steve gives an inspiring speech to explain how he applies this concept at Apple. Finally, if there was any doubt about this principle, U.S. and U.K customer satisfaction data indicates that companies with highly satisfied customers are perform better on stock markets and create more shareholder value. Facebook is a perfect example of the relationship between customer and investor satisfaction: its ACSI rose from 61 in 2012 to 75 in 2015 whilst over this period it’s stock price nearly doubled. Building and sustaining a brand image is not reliant on mega-buck advertising campaigns any more. Declining traditional media audiences, coupled with ubiquitous access to digital media, has effectively killed the ‘golden goose’ that fueled the advertising industry gravy train. New and emerging brands are creating their brand through superior online experiences. Established brands are playing catch up – some doing it really well as described in point 1, although many are failing miserably – or simply not trying. Disruptive business models put the customer at the centre of their offering. Uber is the poster-child for this principle. The more seamless the experience, the greater the brand image and customer satisfaction. This means a website must be designed and function so it is true to what your business sells, what it stands for, and how it operates. This was one of Steve Jobs’ obsessions. But he warned that “Simple can be harder than complex.” He over-achieved with the innovative products he created (think iMac, iPod, iPhone, iPad, etc.) and this shines through in the Apple website that is a testament to his philosophy of simple design, functionality and usability. To apply this guideline, heed the words of writer Ann Voskamp who said “Simplicity is ultimately a matter of focus.” So choose what you’re selling (not always an obvious answer), be clear about why you’re better than the competition, and find a clever way to simply tell your audience this. The best websites make it easy to extract (information), transact, interact or contact. They are built from the ground up with these user goals in mind, and ruthlessly eschew elements that may distract from the desired outcome. 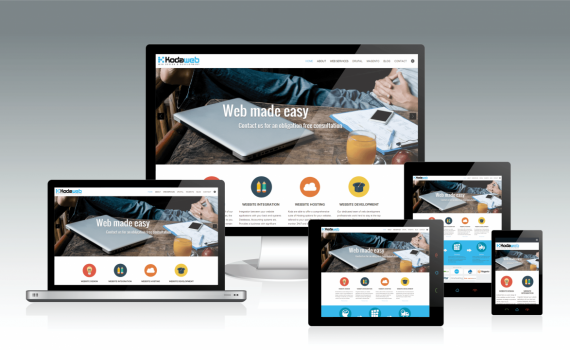 Recent trends that demonstrate these principles are responsive design, large photo backgrounds, flat colours, elongated scrolling and CSS opacity providing translucency or transparency. A modern technique to ensure your web presence isn’t overwhelmed by technical ‘wizardry’ is to follow a user-centered design approach. This provides a framework to build an online experience around the customer’s needs, rather than the more common iterative design cyclical approach of prototype/test/refine. In the future (i.e. the day after you read this) people will visit company/brand/product/retailer websites less frequently. Instead they will find out what they need to know through other means such as search engines, review website like Product Review, mobile app like Yelp, social platform like Facebook/Instagram/YouTube/Pinterest/etc., or one of hundreds of other online services that satisfy our need for information, entertainment and commerce. So don’t expect your website to be the only ‘star’ in your online galaxy. Design it to complement – not compete with – all your other online channels. Learn what your customers need when they go online, satisfy that need, and they will find their way to you one way or another. If your organisation needs to redevelop its website (and whose doesn’t? ), contact marketingbytes for an initial discussion to find out how we can assist with the strategic planning, technology selection and resourcing required to implement. Which is having the biggest impact on B2C marketing today? 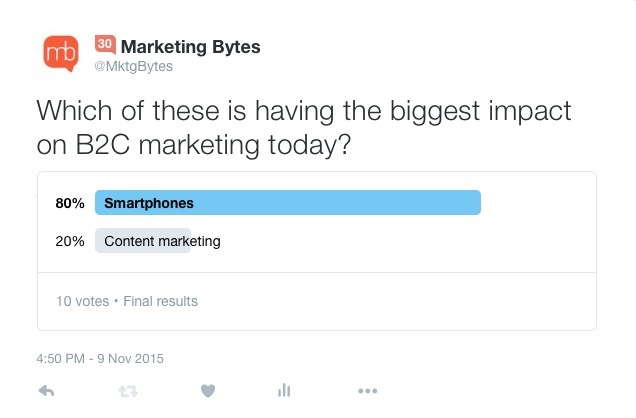 Why do most respondents vote that smartphones have impacted B2C marketing more than content marketing? 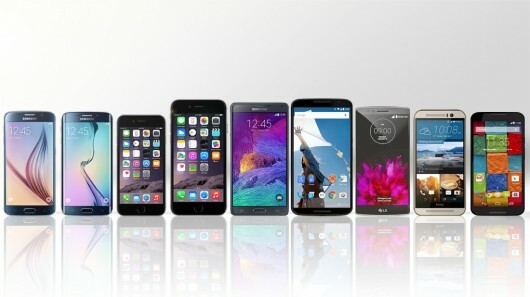 The simple answer is that the smartphone has become as common as clothes in our daily lives. It’s the ubiquitous computer device that’s accessible, and accessed, 24 hours a day. In the U.S. smartphone users look at their phone about every hour. In the U.K. more than 30% of smartphone owners look at their device more than 25 times a day. And in Australia the 2014 Australian Mobile Phone Lifestyle Index proves just how much we rely on this little device. Google reports that more searches come from smartphones than desktops. It also started penalising sites that aren’t mobile-optimised. The latter point is the reason every new website is built to be mobile friendly. At this moment in time every B2C marketer needs to understand what their customers are, and aren’t, doing on their mobile. To decide if they need to be thinking and acting on a ‘mobile first’ basis. To track the journey to purchase so they know when it enters and leaves the mobile device stage (or stages). To publish the right content for optimal mobile screen viewing. To compare the conversion rate between mobile and desktop visitors. These are just some of the mobile-related issues that B2C marketers are grappling with today. On the other hand, content marketing has steadily grown in importance and value – seemingly in direct proportion to the slow decline of traditional (paid) media consumption like free-to-air television and printed newspapers. Content in all it’s forms is now ‘on demand’. And comes in so many new shapes & sizes, from micro-blogging to full length films. Content marketing has turbo-charged the humble advertorial. However it’s not really a new form of marketing; just a new label for an old tactic of telling stories about how the product in the lives of its customers better. Sometimes created by the producer – sometimes by the customers themselves. What digital media has done is dramatically expand the platforms for creating, distributing and sharing branded content. Understanding the interwoven relationship of branded content with all digital mediums such as search, social, websites, email and mobile is the biggest challenge facing B2C marketers. Ultimately they need content to influence purchase decisions. Which means they need to ability to measure, track and analyse interactions resulting from the published content. Clever stores are introducing new ways to combat the smartphone shopper, such as using iBeacons to push notifications and mobile-based loyalty programs. 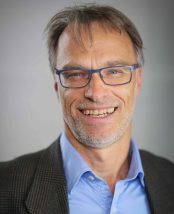 This is a great insight as it reinforces a real challenge for branded content producers in this period of the smartphone revolution: the portability of a mobile means that content is consumed on a mobile screen in locations as diverse as a remote beach or a crowded train, waiting for a flight or watching a sports game. Each location will influence the consumer’s experience and engagement with content. How can a consumer’s attention be held when there’s so many distractions? Until then, smartphones and content marketing should not be where marketers fear to tread. Or should they? What’s your thoughts? Have you have received an email from a large retailer that left you wondering how on earth did they know I was actually interested to buy the product in the email? Or abandoned an online shopping cart only to see, the next day on the same website, an offer of a reduced delivery fee if you purchase immediately? Or seen a brand jump into a conversation about an event you were following on Facebook or Twitter? This strategy has been steadily growing in popularity and capability over the past few years, as the back-end technology has evolved to better capture consumer behaviour and flow through to activate marketing campaigns. According to Wikipedia, RTM “techniques developed during the mid-1990s following the initial deployment of customer relationship management (CRM) solutions in major retail banking, investment banking and telecommunications companies.” Twenty years later and it is still the largest companies with mega-budgets in marketing and technology that can afford to execute these types of campaigns effectively. This is because to get this right, brands must invest in data capture and analysis that links back to their marketing channels where the real time message can be created and published. Although one significant change has happened in the past twenty years – the emergence of social media has provided any sized company with the means to conduct RTM (more on that later). The biggest misnomer about RTM is how “time” is defined or calculated. In other words, although the message is delivered spontaneously when a prospect is viewing an email, website or searching for information, the basis of the personalised offer may not necessarily be based on behaviour in a recent time period, i.e. in the past day, week or month. I was interested to read in a recent CMO article that Telstra, Australia’s largest telco, admits that “it can take up to 45 days for data captured at the moment of interaction to be delivered into the marketing environment, processed as insights by the analytics team, and then brought back and entered into the Interact real-time platform for targeting offers.” Which is fine so long as the customer hasn’t decided to change their mind in the meantime. So there is a fair way to go for data capture touchpoints to be seamlessly and speedily linked to a data analysis process and then funnelled into marketing activation systems. Data. Signals. Events. 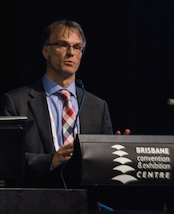 The three characteristics that underpins an effective approach to RTM. Data is the lifeblood of RTM, as prior knowledge of customer behaviour is imperative to ensure messages will resonate with customer’s needs. Events occur in the real world. Telstra wanted to “thank” 2m customers for their business, using 80,000 data variables to customise the message. Molson Coors in Canada advertised on Facebook mobile to target men on a hot Friday afternoon. ‘Reactive’ is when a brand responds willingly and effectively to online conversations. It might be to answer a complaint or shout out to a customer for saying something positive about the brand. Telcos are getting smarter at this, employing teams of people to monitor online conversations and contributing where they can offer advice or reach out to request direct contact. In the US Taco Bell repurposes customer posts on its own channels, nicely ‘glueing’ fans even more to the brand. A ‘proactive’ use of RTM occurs when a brand seizes an opportunity to offer something of value, or simply capitalise on, an existing social media conversation. However this sort of RTM can also be where things don’t go to plan. 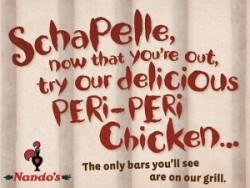 As in the case of Nando’s that posted a message on its Facebook and Twitter pages after the release from a Bali jail of Schapelle Corby; “Schapelle, now that you’re out, try our delicious Peri-Peri Chicken…The only bars you’ll see are on our grill.” Unsurprisingly Nando’s were criticised for their insensitive timing of this ad – although it got people talking about the brand, and they do seem to like being controversial, so probably they thought it was a success. The benchmark example of ‘opportunistic’ RTM is the famous Oreo tweet during Super Bowl XLVII when the lights went out during the game; “You can still dunk in the dark”. Oreo had a social media marketing team actively posting messages during the game, so they were ready when the lights malfunctioned to say something creative and brand-relevant. It is the perfect manifestation of the quote “Luck is what happens when preparation meets opportunity.” by Seneca the Younger. The future of real time marketing is further influenced by rapidly evolving social technologies. SnapChat launched a media service called Discover this year, attracting some major US advertisers to the platform. Twitter bought Periscope, a real time video sharing platform. And there’s the Meerkat video streaming app too. As they are fond of saying in sports broadcasts – “it’s all happening” in the real time marketing space. If you’re a brand that has started to use RTM, and according to eMarketer well over half of US advertisers have, remember that RTM works when it’s timely, clever and most importantly, relevant to your brand. It’s a digital marketing practice that can turn prospects into customers. Be careful though – it can backfire if the timing is wrong, the message is insensitive, or your brand is unrelated to the situation. Love to hear your thoughts on RTM, and to get some more examples. Consumers are increasingly creating content and publishing it on social media, websites, blogs, even mobile phones. They are tweeting, blogging, filming, photographing, designing, speaking, singing, dancing. And of course, sharing. Some of this content relates to the products and services that are intrinsic to our everyday lives. Such as banks, telcos, airlines, restaurants, fashion labels, soft drinks, political parties, and charities. Some of it is positive and jubilant. Much of it is negative and critical (often warranted). So what can brands gain by actively encouraging consumer generated content? To answer this question, let’s look at ways in which some brands have successfully leveraged UGC. Where content creation is intrinsic to your product. GoPro would have to be the ‘darling’ of UGC. The number of amazing and beautifully shot films using a GoPro that are circulating on the web demonstrates the power of a brand harnessing it’s most valuable asset – it’s customers. Of course GoPro runs a contest where the reward is to be featured on GoPro social media platforms. 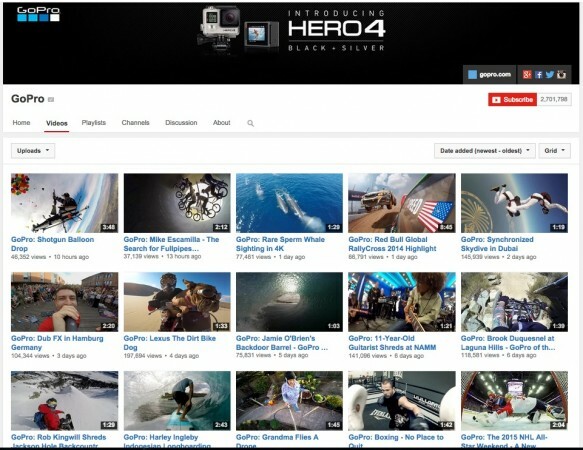 The GoPro YouTube channel that boasts 2.7m subscribers and features extraordinary films made by ordinary people. Source new content for your brand website. Developing interesting content for your website is essential, although it’s a demanding part of digital marketing. Hence some brands find it’s convenient and beneficial to display content on their website that’s sourced directly from their customers. One company doing this very successfully is Gelly Roll in the US. Their home page has a dedicated section to visuals and information posted by customers using their products. It’s a synergistic relationship that increases brand ‘love’ significantly. Now there’s a novel idea. Ask people (may or may not be customers) to do something that involves your brand and then post the results online. Preferably with a nominated hashtag so it can be easily included in the contest. A good example is the VersaVid campaign by Nissan USA using the short video platform Vine. People had to print out a 3D picture of a Nissan, cut and fold it, then film the ‘car’ doing something interesting. There were road trips, carpet races, and, naturally, videos with cats. Help the HR department find good talent (and get some marketing mileage along the way). Yes this can be a real outcome for UGC. One of the best examples of this is a home grown campaign by Tourism Queensland – known as “The Best Job In The World”. In 2009, on a relatively small budget to fund classified ads in global newspapers and create a website for application videos to be posted, TQ received 34,000 applications. of course it garnered earned worldwide media coverage (doh, that was the point!!) conservatively valued at A$368m. Plus the campaign website and YouTube channel attracted over 8.6m views. A phenomenal success, that was continued after the winner, a 34-year-old British guy, gave over 100 media interviews in the 24 hours after he won. In 2013 Estee Lauder changed tactics for it’s “Stronger Together” breast cancer awareness campaign. The brand asked the public to actively encourage the women in their life (mothers/daughters/wives/etc.) to commit to getting a mammogram as well as eat well, exercise and generally look after themselves. 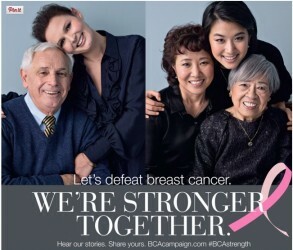 Using the hashtag #BCAstrength people were invited to post their stories on social media, that then were published on a specially created Estee Lauder campaign portal. Naturally this campaign attracted many inspiring stories and created a valuable community and network for women and families to share and support each other during very difficult personal circumstances. Turn around a brand image from daggy to chic. That’s what Burberry did to their 200 year old brand by crowd-sourcing photographs of ordinary people wearing their iconic trench coat. 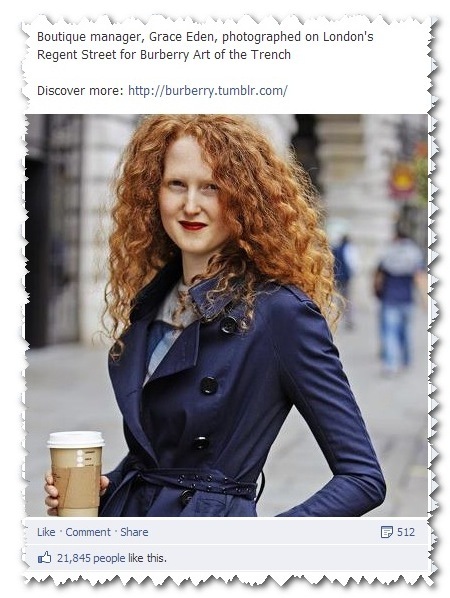 They even gave it a catchy campaign name – “The Art of the Trench.” The approach was pretty simple: submit a photo of yourself or a friend to the special Burberry website and the savvy marketers at Burberry would choose the coolest, hippest, ‘chicest’ looking images to appear on the site. Everyone wins. Especially Burberry that has just received thousands of great product pics AND the name and email of thousands of customers. Who love Burberry even more. Brilliant. Objective achieved. Negative reactions to UGC requests. Sometimes, a seemingly innocuous question or request by a brand will spark a firestorm of negative responses that it causes serious, but usually short term, damage to a brand’s public image. Some major brands have had their (keyboard) fingers burnt this way, including McDonald’s, Coles, Qantas, and J.P. Morgan. When a brand asks it’s supposed fans to “finish this sentence”, or “tell us why you love our brand”, it’s going to end in tears. Just don’t. The dramatic increase of user generated content in a marketing context raises many other issues for brands. The biggest issue is probably legal, as for the first time in history anyone can easily create and distribute content online but without any real control over it’s use and re-use. If that content is detrimental to a brand, it can be a nightmare to handle the adverse public relations fallout. So while each of the campaign ideas described here are proven winners, there may have been difficulties within those campaigns that the brands probably did not foresee. Copyright is another major issue. Once a consumer submits their content to a brand, who owns it? How long can the brand use the content? privacy is another aspect to be considered. Someone may submit content to a brand but decide later they want it removed from a website or social platform. How does the brand manage such a situation? In conclusion, user generated content can be a highly beneficial marketing tactic. However there are pitfalls so the strategy behind any UGC activity must be well thought out. Preferably with a nod from a lawyer. one thing that this approach will really flush out is the answer to the million dollar question – “how engaged are my fans/followers/customers?” A UGC-oriented campaign will quickly give a pretty good indication. Naturally I’m keen to hear other people’s perspectives on UGC. Use the Comments box below to add your thoughts. The social network I didn’t use during the holidays. The Christmas/new year holidays is a perfect time to reflect on how we use social media to share these festive times and keep in touch with distant or travelling family and friends. There is a plethora of social media platforms to use for a variety of purposes. Looking back over the past fortnight, the social networks that I mainly used during this holiday season were Facebook and Twitter. A distant ‘second’ were Instagram and Pinterest. The one network I didn’t even think of using was Google+. Writing this post prompts me to ask “why?” The answer lies somewhere between not enough family/friends/colleagues are on Google+, those that are there don’t use it very often, and the interface is far less user friendly than the other platforms I use. Considering the first point, it is intriguing to contemplate the scarcity of personal and professional connections given that it’s hosted by the world’s most popular search engine, with the world’s largest active webmail user base. 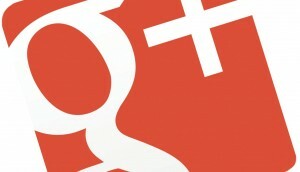 Why aren’t more people using Google+? I have about 60 in my Circles (people and/or companies) but almost all are technology-oriented who probably joined G+ some years ago to complement their online profiles. There’s no one from my immediate family, no one from my school/uni social group, and very few friends from my current regular social groups. Unfortunately, a check of the activity of those I have in Circles reveals that many haven’t posted there for many months! But I know they have posted on Facebook, Instagram or even LinkedIn in the recent past. It may be a case of G+ being one social network too many. Unless there’s a compelling reason for the ‘average’ person to join and use G+, it will fail and Facebook will retain its dominance as a pure social network. The interface issue is much more problematical for Google. It’s not as simple as Twitter, nor as embracing as Facebook. Even LinkedIn has a more intuitive design. Visit the G+ web page and you see too many posts by people/companies you don’t follow, that have been Shared by those you do. Open the G+ app and it’s worse as the screen is small and the content lacks relevancy. And what’s with having two ways of sharing: “+1 this post” and “Share this post”. Google, you need to simplify Google+. Chris Messina, ex-Googler and originator of the hashtag, recently wrote a thoughtful piece on where he thinks Google+ has gone wrong and how it might be able to correct course. On Nov 29 last year he asked “Is there any hope that Google+ will find a compelling reason to continue to exist?” Read Chris’ thoughts here. “have an eye on the future, a finger on the pulse and a seat at the table“. Interpreting these three criteria for the modern marketer; “an eye on the future” indicates a focus on innovation, “finger on the pulse” requires an understanding of data, and “a seat at the table” demands a good storyteller. Let’s examine these criteria from a marketer’s perspective. Marketing has been fuelled by innovation since the Mad Men days. In marketing-land this has been essentially two sides of the same coin: on one side there is product innovation, the other communications innovation (in terms of message and/or medium). 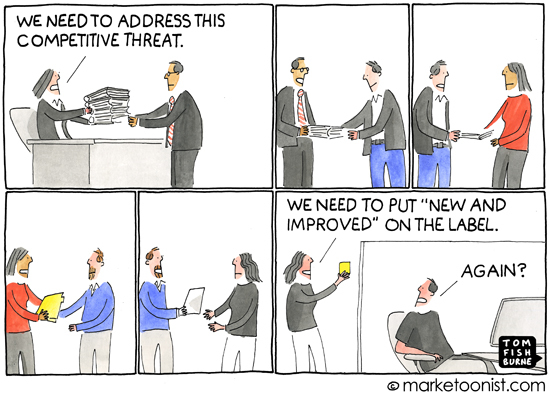 More often than not, product innovation is not matched with communications innovation, and vice versa. However that’s ok, as it can be argued that innovating in one aspect of a brand’s marketing does not necessarily demand innovation in any or every other attribute. What is certain in today’s digitally-influenced marketing landscape is that innovation is rife across all media channels and within product development areas. In some cases it’s evident in both the product AND communications, such as mobile apps for a product/service that becomes a utility in the hands of loyal customers, accessed on demand or in response to a Notification activated by NFC or an iBeacon. This has led to a blurring of the lines between advertising, PR, experiential, sales promotion, direct, loyalty and sponsorship. Digital communications platforms provide a marketer with a vast array of tactics to execute a campaign, speak to an audience, brand an event, demonstrate a product…by directly paying for media space or more prevalent is the use of ‘owned’ and ‘earned’ media. Adapting a well known phrase (necessity is the mother of invention), in the world of marketing I would say that complexity is the mother of innovation. The upshot of digital communications is that the systems being used to broadcast messages (such as email) and the systems consumers contact as a result (such as a website) create a data trail that provides invaluable insights. There’s literally data ‘pulsing’ through the digital veins of an organisation. Capturing, analysing and extracting insights from ever-growing volumes of data has become a serious challenge for the modern marketer. Ironically it will probably be technology that will be the saviour. Web content management systems that use personas to identify users. CRM systems that intelligently track behaviour and actions. More powerful analytics engines processing larger and larger amounts of raw data. All of these technological solutions will aid marketers in their quest to keep their ‘finger on the pulse’. However they will only be valuable if there are people with superior data analysis skills to interpret trends and identify relevant insights – these will be the most sought-after skills in the years ahead. Further to technology and people, customer journey mapping and user experience design thinking will help a company to ensure the right data is captured at the right time for the right reason. “A seat at the table” implores presence at critical decision-making moments. It may be in the boardroom or executive management meetings. These are the times when the modern marketer must have a strong role as a contributor and influencer. The imperative to influence, to contribute to the debate, is best achieved by being an accomplished storyteller. Stories that describe how the customer landscape is evolving and what must be done to adjust course accordingly. To describe how data analysis is being used to influence R&D resources. And to explain how the new product’s positioning creates an emotional connection with a particular customer segment. Whilst storytelling is becoming a key strategic weapon in consumer marketing, it should also be a skill employed by the modern marketer to communicate with peers and subordinates alike. The beauty of a story-telling approach is that it adds empathy and fraternity to almost any topic. What else is required to be a thoroughly modern marketer? Are there other sayings to describe the skills required to be an effective marketer in this digitally-driven world? Let me know your thoughts in the Comments box below. * Even after a Google search I can’t identify who this phrase is attributed to.